GID: 1014. Categories: Certification in IFRS - Deep dive IFRS immersion programme (8 days), Seoul. Tags: #K-IFRS, #KIFRS, #Korea, #Seoul. The International Financial Reporting Standards are being continually adopted by more markets, representing a real challenge to organisations and individuals who produce and use financial statements. Therefore, financial policies, processes and systems may need to be reviewed and often changed. In order to meet this challenge Shasat has developed this IFRS Certificate programme that will help you understand and implement IFRSs with confidence. The IFRS has now been implemented in over 140 countries and has become a global language for financial reporting. This IFRS Certificate Programme gives participants the skills to compete effectively in today’s global standardized reporting environment. A deep dive learning in IFRS will distinguish participants from other accounting and finance professionals and shall expand their global career dreams. This course offers a very comprehensive study of International Financial Reporting Standards (IFRS). 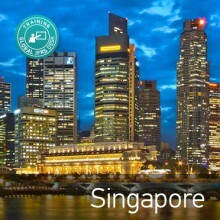 We have created this instructor led a complete IFRS learning programme (8 days) to professionals all over the world in different cities to meet their demands and expectations. Our lecture sessions are supplemented by problem solving and case discussion to strengthen and reinforce your understanding of the topics. Our trainers have specialist knowledge and first-hand experience of dealing in derivatives, setting up hedges and reporting requirements under IFRS and US GAAP. This ensures an engaging and stimulating learning experience, helping to ensure knowledge is retained. They understand the risk environment, industry issues and challenges, hedging strategies, financial reporting requirements, and compliance environment. They impart their knowledge via demonstrations, anecdotes, role plays, and simulations. Current discussion papers/exposure drafts/ issues with the interpretation committee. The adoption speed and challenges on the subject of International Financial Reporting Standards (IFRS) are on with frequent communications from many sources. As the volume increases, you may find yourself exploring the impact of IFRS and triggering events that would compel you to understand IFRS more quickly. We have designed this comprehensive and detailed IFRS learning programme (8 days) to give you all the required knowledge, skills and experience to deal with these challenges. We have one of the best and most experienced IFRS faculties with over 15 years of IFRS implementation experience in the European region.